Nolan Krueger is a doctoral student in the department of educational psychology at the University of Texas at Austin. 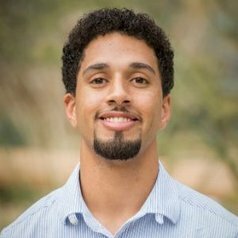 His research investigates Multiracial identity and psychosocial phenomena affecting students of color in higher education. Nolan is a mental health clinical trainee working in university and community-based settings. He has also been a graduate research assistant at the Institute of Urban Policy Research and Analysis. Nolan holds a Bachelor of Science in clinical psychology from the University of California at San Diego.